Lets me tell you about the journey to create this pattern. I started the same way on the big WWW. Trying to find a one piece no sewing pattern was the next challenge. Then it was trying out 3 or 4 pattern only to not get the middle to close (touch) it was touching at the top and then it would be like 3 inches apart from after where it touched to the bottom well that was not going to work for keeping a baby warm.. 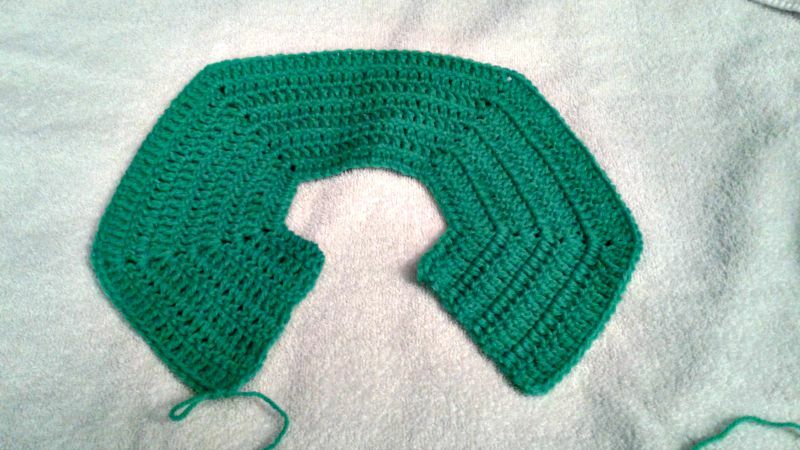 The next part was to increase the size of the baby pattern which since I have been crocheting baby things I have noticed if I go up from an H to an I I get the right size for a 9-12 month baby so that is what I did.. 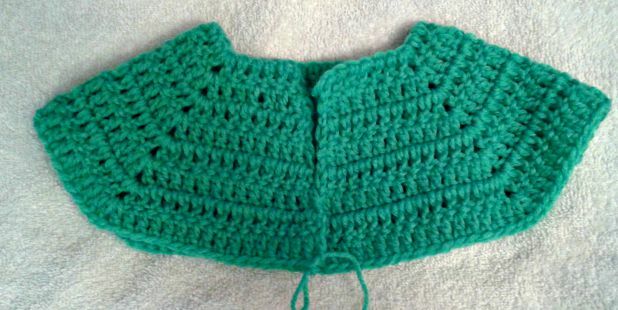 This is how it will look after you complete the row to create the sleeves (arm holes). Long Sleeves- could be made in different colors so say black sweater with red sleeves this would be perfect also if gift giving for people who have babies that are into sport you could pick the colors of the parent’s fave sport team and use those colors when making.